The atmospheric novel set during the Tudor era of a young woman's struggle to define herself in a world of uncertainty, intrigue, and danger in a period of great upheavalIn 1535, England is hardly a wellspring of gender equality; it is a grim and oppressive age where women -- even the privileged few who can read and write -- have little independence. In The Butcher's Daughter, it is this milieu that mandates Agnes Peppin, daughter of a simple country butcher, to leave her family home in disgrace and live out her days cloistered behind the walls of the Shaftesbury Abbey. But with her great intellect, she becomes the assistant to the Abbess and as a result integrates herself into the unstable royal landscape of King Henry VIII.As Agnes grapples with the complex rules and hierarchies of her new life, King Henry VIII has proclaimed himself the new head of the Church. The Hon. 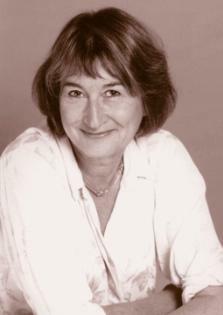 Victoria Glendinning, CBE (23 April 1937), is a British biographer, critic, broadcaster and novelist; she is an Honorary Vice-President of English PEN, a winner of the James Tait Black Memorial Prize, was awarded a CBE in 1998 and is Vice-President of the Royal Society of Literature.